Rose Quartz chakra pendant brings love at all levels â€“ be it between family members, friends or relatives. The chakra stones connect with their respective chakras in the body and activate them. 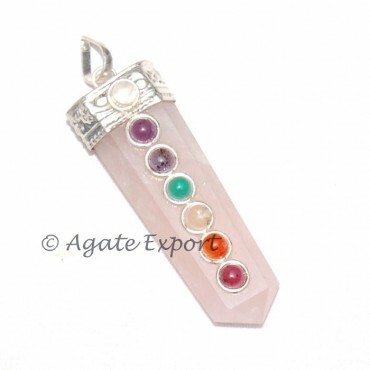 This beautiful pendant can be ordered on Agate Export.